Your windows are the first thing that people see on your house. When they’re perfectly clean, its a sure sign that the inside of the house will be in great condition as well. Impress your visitors and passers-by. You don’t have to climb up ladders in all weather, to clean your own windows. 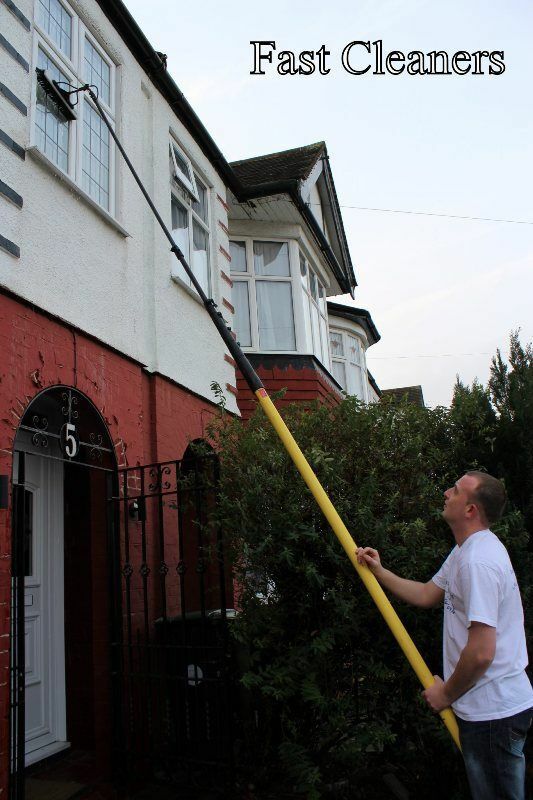 Fast Cleaners Brent have expert window cleaners that will leave your windows looking better than ever. We use the latest window cleaning technology. It means that we can reach areas that would otherwise be difficult to access. It’s also a safer system. Our professional window cleaners can clean windows at high levels, whilst operating from floor level. This isn’t just a safer way to clean; it’s quicker and more efficient as well. We don’t just clean the glass as well. We clean the frames and surroundings; we can even clean your uPVC surfaces such as soffits and fascia boards. Do you remember how good they looked when they were new? Say goodbye to tired old off-white and hello to brilliantly white surfaces again. Your neighbors will think they’re newly installed. We don’t just clean domestic windows. We can also clean windows on commercial properties. We can clean the windows at weekends, mornings or evenings, to minimise disruption for your staff. Your windows will be cleaned inside and out. You’ll be left with gleaming and smear free glass, and a fresh smell that’s a treat for your nose. Call us today on 020 3322 4794 to find out how cost-effective our professional cleaning prices are.